Home / Parenting / How I found out about EDS. How I found out about EDS. From the time I was little, I always remember walking around with what felt like a bad sprained ankle. I was always twisting it, so I had no idea it wasn’t sprained. I also have hips rotated backwards, so my feet and knees stick out to the side. I could never run very well. I’d end up twisting my ankle. Even with all that, I never went to the er nor the doctor often so I didn’t think anything was wrong. I also have always had a nervous habit of bending my pinky fingers sideways to my pointer and just holding them in that position, it was something to do with my hands (I have also had anxiety since I was very young) and I lived by the belief that everyone could do it. My thumb can lay flat against my wrist/arm and I can turn my feet backwards so they’re straight behind me. No one ever told me that (along with the aches and pains that went with being hyperflexible) was strange. Fast forward, I just had my first baby. I developed severe pre eclampsia over the course of less than a week and had to have her at 28 weeks. We were in the NICU and while she was there, I welcomed every study they asked me to do. One was testing flexibility. That was when I first heard the phrase “hyper mobile” and scored almost the highest score you can get. It blew my mind because I thought you only were flexible if you could bend your pinky to the back of your hand (I can’t, mine goes sideways) and if you could touch your toes or the floor (my hip dysplasia along with arthritis makes it too painful). I started looking into it and found it was, in fact, odd. Fast forward five years. Baby 1 is now 5 years old. We took her to a specialist due to very early onset scoliosis. I showed him my joints and he said it looks like Ehlers Danlos. I had my doctor confirm it a few days ago. In a way, I’m glad I didn’t find out until after I had all 3 kids. I am really not sure if I would have chosen to have kids had I known about this (and others I’ve been diagnosed with that I’m going to go into in another post). 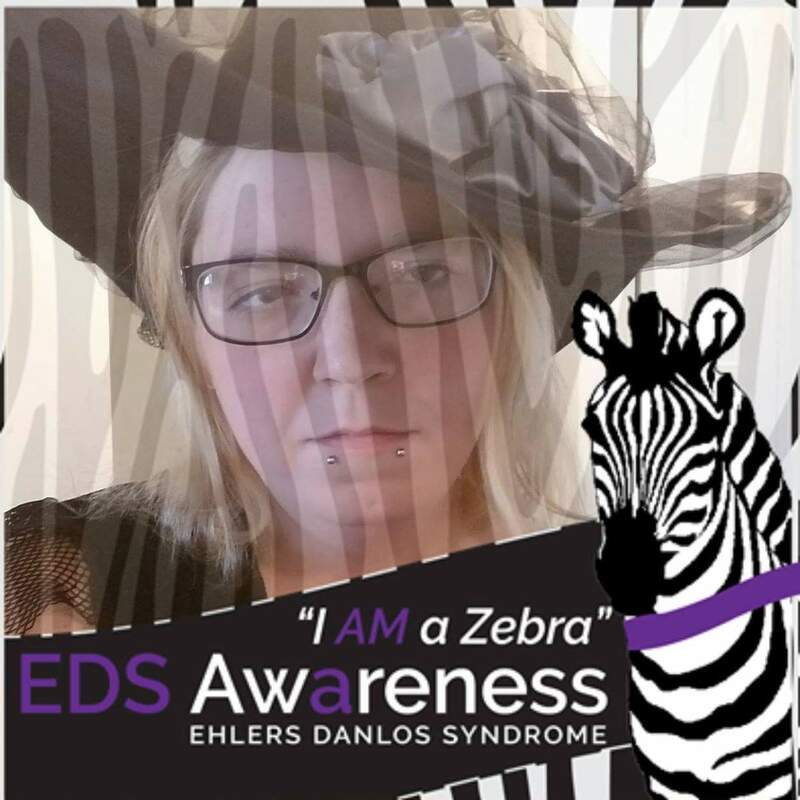 It feels almost selfish, although the specialist said my oldest doesn’t appear to have it- and I’ve had several professionals confirm there really isn’t a great test for hypermobility type EDS- it goes off appearance mostly. I mean, genetics are a crap shoot anyways but it feels like I put two kids on this planet to deal with (mostly mild- at times up to severe) pain for their lives. The pain gets easy to manage. I wouldn’t know what to do if I woke up one day completely pain free (I’d love it, though). When you’re born a certain way, your body compensates and conditions itself. You adapt to chronic pain so you know nothing about normal. It still isn’t something I’d wish on my kids and I hope neither inherit it, my oldest’s specialist said she doesn’t appear to have it, but I’m watching my toddler’s feet. So far, they do seem to stick out and that seems to be one sign. Previous post: Being a taboo parent- I don’t want sympathy. I just want to be able to talk about all my kids.